A Democratic lawmaker has renewed demands that the Health and Human Services Department return to the bargaining table with the National Treasury Employees Union in light of the recent court decision invalidating the key provisions of President Trump’s executive orders that sought to crack down on federal employee unions. 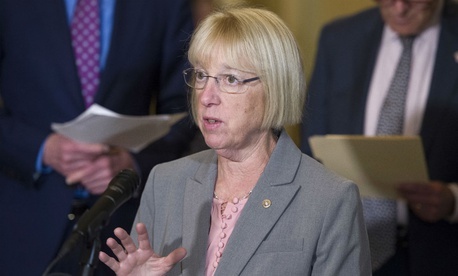 Sen. Patty Murray, D-Wash., sent a letter Monday to HHS Secretary Alex Azar accusing the department of engaging in bad-faith “surface” bargaining without a genuine willingness to negotiate over a new collective bargaining agreement. She cited the fact that although 34 articles of the existing contract are open for discussion, the department has engaged in one full day of negotiations, and refused to discuss or clarify the vast majority of its proposals with the union. In July, HHS declared an impasse in talks and referred negotiations to the Federal Service Impasses Panel. HHS officials were not immediately available to comment. But earlier this month, a spokesperson said the department’s proposals and bargaining tactics were not related to the invalidated provisions of Trump’s executive orders. According to a timeline provided by NTEU, HHS informed the union that it must come to the bargaining table on the same day that Trump issued his executive orders. Murray suggested that continuing to move forward with the department’s effort to have this case heard before the FSIP could be in violation of U.S. District Judge Ketanji Brown Jackson’s decision enjoining agencies from implementing the executive orders. Murray went so far as to say that she believes the administration as a whole may be attempting to circumvent the court decision by pushing to implement provisions of the executive orders, like severe cuts to official time, through collective bargaining negotiations. “It is difficult to avoid the conclusion that this administration as a whole does not take seriously its legal obligations under the statute, evidenced by the issuance of the illegal, anti-bargaining executive orders together with the growing prevalence of bad faith bargaining behavior across federal agencies,” she wrote. Murray requested the department state how many of HHS’s actions were taken “in reliance” on the enjoined executive orders, as well as the actions the department has taken in recent weeks to comply with the court order.